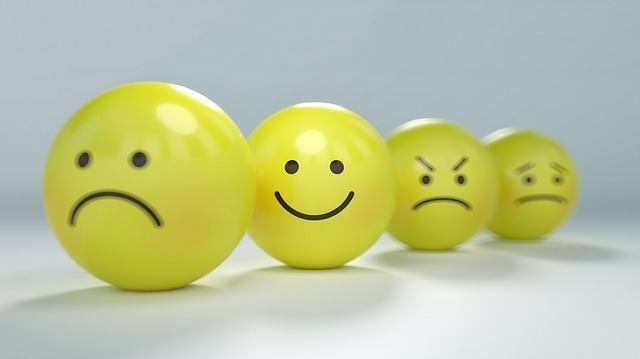 ​A home remodeling project can ​cause stress in a homeowner. But, it can also stress-out your neighbors, too. The following are tips to help keep your neighbors happy during your house renovation project. Assuming that you'd like to help keep the peace in your neighborhood, keep reading to find out tips for minimizing the impact of your project on your neighborhood. Smaller projects - like remodeling a bathroom - may only have negligible effects on the neighbors closet to your property. Some neighbors may not care much about the extra vehicles - or a temporary dumpster - in the neighborhood. But, others probably will - especially those who don’t like people parking in front of their house or taking up precious few parking spaces. 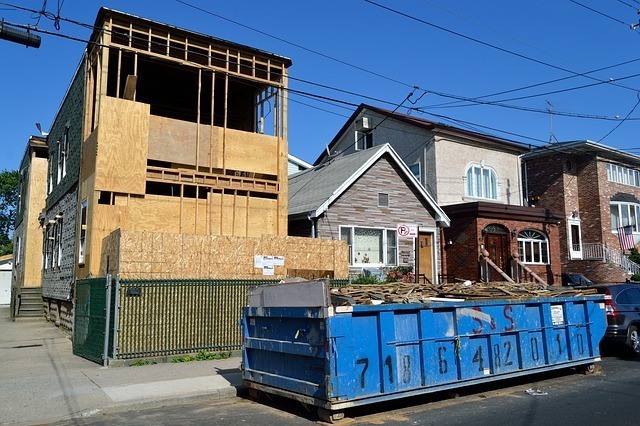 ​​Demolition work and construction work comes with vehicles & debris dumpsters related to the work being done. Besides the general contractor’s pick-up truck, there will likely be trucks and cars associated with the workers supporting the particular phase of the project being worked on. During particular remodeling phases, there will likely be large trucks in front of your construction site. For example, when it’s time for concrete pouring (like during foundation pouring, garage floor pouring, & driveway pouring), you may not only have a cement mixer truck blocking street flow, you may also have a concrete pumping trailer & truck adding to the traffic jam. If you are doing a smaller project (like remodeling a kitchen or remodeling a bathroom), there will likely be fewer construction related vehicles in the street around your property. And, they’ll be around for a shorter period of time. ​Naturally, larger projects typically will have more construction related trucks, cars, and equipment around - perhaps even longer. On lots with very little outdoor area, demolition dumpsters may end up on the street until the demolition phase has completed. Especially for larger projects, your home renovation site is likely going to generate noise from construction & demolition equipment, as well as noise from music & banter. Always ask your local remodeling contractor to have his crews keep the music ​and communicqation from worker to work are a respectful volume. Despite asking a contractor to keep the music to a respectful volume, it will likely end-up being loud over & over again. ​I found that the noise from the loud music was more upsetting to my neighbors than the noise from the contractor's equipment. The loud talk from construction crews is temporary, but the frequent foul language was just not OK. I was on-site for my own remodel frequently, and I jumped on my home remodeler every tome I heard it. I didn’t want my neighbors having to put up with it. 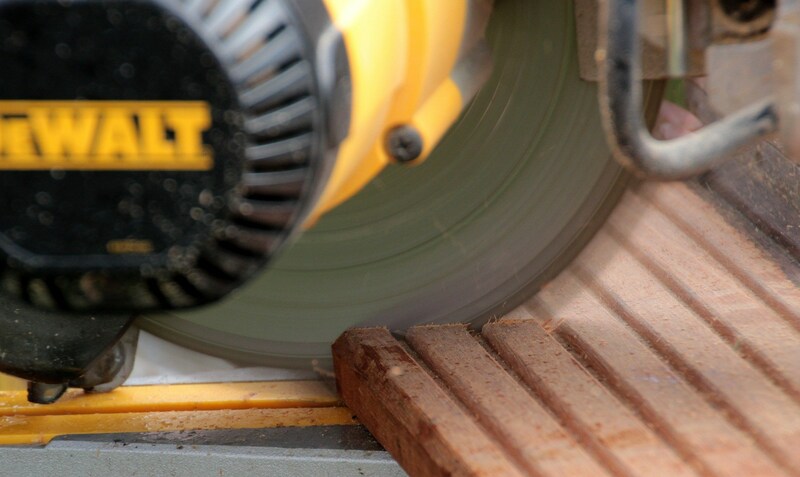 ​Safety and security are important aspects of a home renovation project. I highly recommend that you proactively put things in place to keep your construction site as safe & secure as possible. I regularly noticed nails, screws, & other construction debris on the street in front of my house. Make it a habit to pick-up nails ​to keep them from puncturing your tires or those of your neighbors. Your remodeling project will already be disrupting the neighborhood temporarily with construction traffic, noise, and other home renovation situations. It's amazing how many nails and other construction debris end up in the street - on a daily basis. 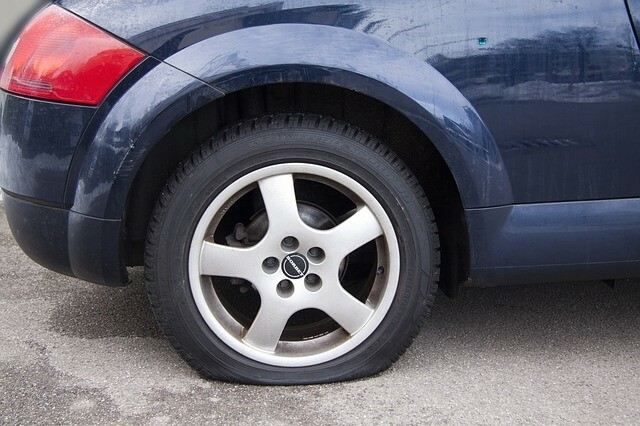 Naturally, you’re not going to want your neighbor have the inconvenience & expense of needing to have a tire of theirs repaired because of ​YOUR remodeling project. You may have to ask your ​contractor several times to make sure his crew cleans up the street after themselves. Despite asking my remodeler over & over again to help with this, I kept finding tire-puncturing hazards in the street in front of my home. Because ​YOU will likely be the last line of defense ​for your own tires, as well as those of your neighbor's​, I recommend that you do regular scanning of the street in front of your home looking for - and removing - nails, screws, and random pieces of metal & wood. Nails in the street from ​YOUR renovation ​project site can ruin your neighbor's day - or your own. If you’re doing a major renovation, you might choose to let your neighbors know you will be having a temporary construction fence put in-place to help secure the area. The reality is that your construction site will likely draw attention to itself from people in the neighborhood wanting to get a closer look. 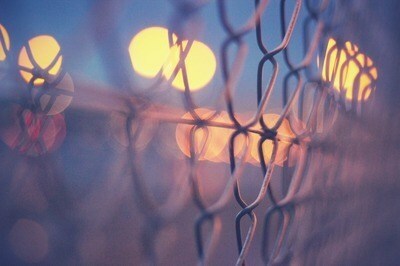 The fence can help defend against the “attractive nuisance” that your construction site will become. My remodeler did not supply temporary fencing, as San Jose didn't require it at the time. I arranged to have fencing put in-place after an accident occurred that stemmed from an unsafe structural condition created during demolition. The fencing wrapped around the front yard, and it's cost was only about $90/month. After the fence was put in place, it made all kinds of sense to have it there. Besides the temporary unsafe condition created by the demolition crew, there are all sorts of dangers just waiting for someone venturing onto the demolition/construction site to trip over, fall into, or cut themselves on. With the chain-link fence in-place, neighborhood kids would not be easily able to get onto the property - preventing them from possibly being injured (Read: also potential lawsuits from injuries). It kept out their parents, too. ​The thieves that earlier-on had stolen some of the contractor's tools would not have had such easy access to the tools during there late evening robbery if the fence had been in place. The fence also successfully kept any other thief at bay. In addition to the temporary fencing, you should certainly have one or more motion-activated ​floodlights put in place during ​your remodeling process. Of course, do this unless it is forbidden by ​homeowners association rules or local/regional ordinance. The newest generation of residential LED floodlights are very bright (up to 3,000 lumens) and are enough to light up a whole yard. The Defiant Duo-Brite LED floodlight models have an option to keep the LEDs on at a lower brightness, like a nightlight. Naturally, floodlights help deter the theft of contractor tools, as well as ​YOUR construction materials or appliances. Have the floodlight(s) cover the front yard and other important areas you deem necessary. With the availability of ​do-it-yourself alarm systems nowadays, you can easily set-up one or more motion detectors & entry detectors that will catch intruders stepping into your protected area(s). You can set the alarm app up on your smartphone to alert you that someone is on-site after hours. The SimpliSafe system, for example, provides a keypad, base station, detectors, and a siren that can be easily located just about wherever you want (needs to be protected from the elements)​. The battery-powered detectors communicate wirelessly to the base station. The battery backed-up base station communicates via cellular connection to the SimpliSafe company. To use this system, you'll need ​a powered AC outlet to plug the base station into. You can even opt for SimpliSafe's alarm monitoring service ​that can send police or security company professionals to investigate when an alarm sensor trips. Thieves can smash the SimpliSafe keypad all they want, but it won't affect the system from communicating with the SimpliSafe company servers. The brains of the system are in the battery-backed base station. Mount it in a hard-to-get-to location for maximum protection from thieves. By the way, you can also enable or disable the system from your smartphone. You can easily re-use your alarm system on your newly remodeled home. It's easy to buy additional sensors from SimpliSafe or additional sensors ​from one of the other alarm companies to round-out coverage. ​Similar in availability of today's alarm systems, inexpensive, high-quality video cameras have become widely available. 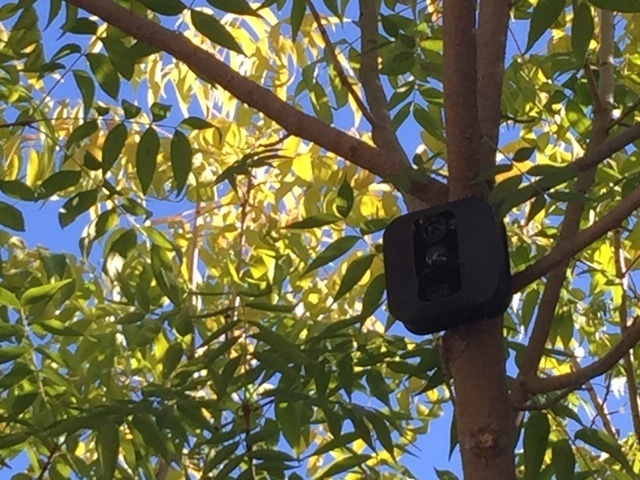 With the Blink system, for example, you can easily mount one or more all-weather cameras wherever you want (even on a tree). You can enable motion detection if you like, and have it send you a text message when someone has walked into the area monitored by the camera. The camera is full-color High Definition by day, and it can see in the dark at a lower resolution with the area being lit by ​it's built-in infrared LEDs. ​You'll really like being able to ​look-in whenever you like. Ring offers a floodlight that features ​a motion-activated camera complete with a microphone, speaker (for you to be able to say something to the intruder), and a manually-activated siren.​ You can set it up to alert you via text message when an intruder steps into your monitored zone. You'll potentially need to relocate the cameras as demolition/construction progress. But, that's easy. And, you'll love being able to check in to see what's happening whenever you want - even during the day time. You'll need Internet access on-site, as well as wi-fi (likely already built-in to your router) to connect the cameras & controller unit to. If you have a significant remodel project - AND you have got a great relationship with a nextdoor neighbor, they may allow you to connect your cameras to their wi-fi router during the remodeling phase. This would keep you from needing your own Internet access on-site. You can easily re-use the camera(s) in your newly renovated home. You can buy as many cameras from Blink as you need to round-out coverage on the interior & exterior of your home. If you live in a controlled neighborhood (like, one controlled by an association or local historic agency​), any exterior updates will have to get the approval of the controlling group for the area. Of course, that's in addition to your local building permits department. In other neighborhoods, you might want a newer, more modern feel on the exterior - or maybe to add a second story. Some neighbors will love what you come up with. But, you may have a neighbor or two who objects to your intentions. They may not like that you're changing the traditional look of the neighborhood. You can't please everybody. But, everyone will be happy that your project is increasing the home values in the neighborhood. Just keep in mind that as long as you have the required plan approvals in hand, you don‘t need a neighbor’s approval regarding your design intentions. My single-story renovation ended up raising the peek of my roof to about 24 feet. Previously, it had been about 15 feet high. A neighbor with one of the only two-stories in the neighborhood wasn't happy that my new roof-line encroached into his commanding 360-degree view. ​Hopefully, he'll get over it some day. 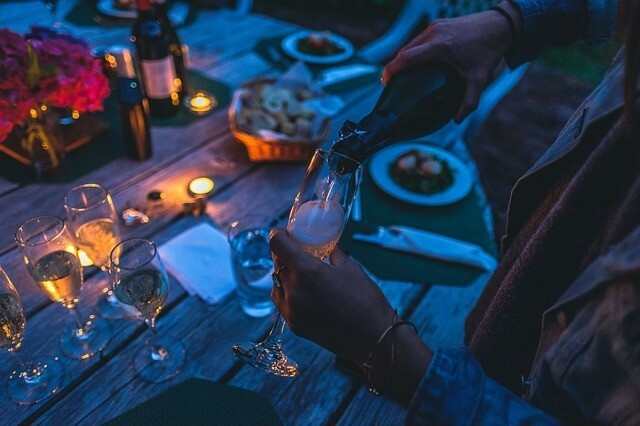 ​It’s your decision on whether or not to get buy-in from nearby neighbors. But, attempting to do so may end up getting you in a situation where you can’t please everybody. I didn’t share my plans ahead of time - nor will I do so in the future. Your mileage may vary. 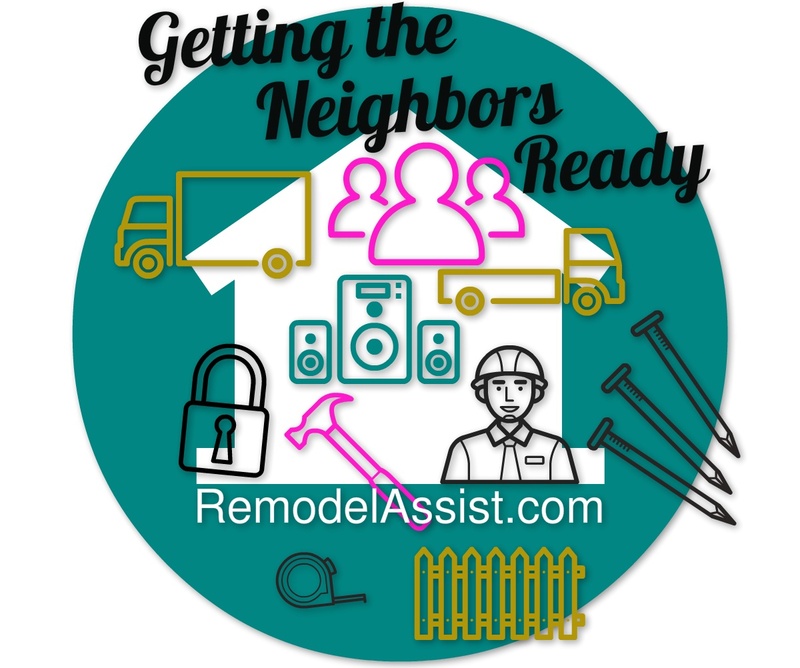 ​Getting your neighbors ready for your renovation project ahead of time can go a long way in helping to minimize the inherent disruption. A great jesture would be to have a neighborhood party at your renovated place after the project has completed. It’s a nice way to show your appreciation for the patience your neighbors exhibited during your disruptive remodeling project.